Inspect all man overboard and survival gear. There may be lots of things you’d rather do, even mow the lawn. But your man overboard gear requires inspection at least once a year. Inspection is easy to do and, unlike mowing the lawn, it may save lives. The hardest part of inspection is remembering to do it. To make it easier to remember, why not schedule inspection for the same day you move the clock forward to Daylight Time in late winter. Your next opportunity comes on 8th March 2015; add it to your calendar right now! Time to look at new man overboard gear? Read the story of a man overboard survivor for a better appreciation of why each crew must know how your gear works. recharge kit within useful life? is it time to replace strobe? Maybe an hour of time will enhance offshore readiness for that moment of truth when lives could be in jeopardy. Uncover and resolve issues ashore before you untie the docklines so you can be sure to make it back to mow that lawn. 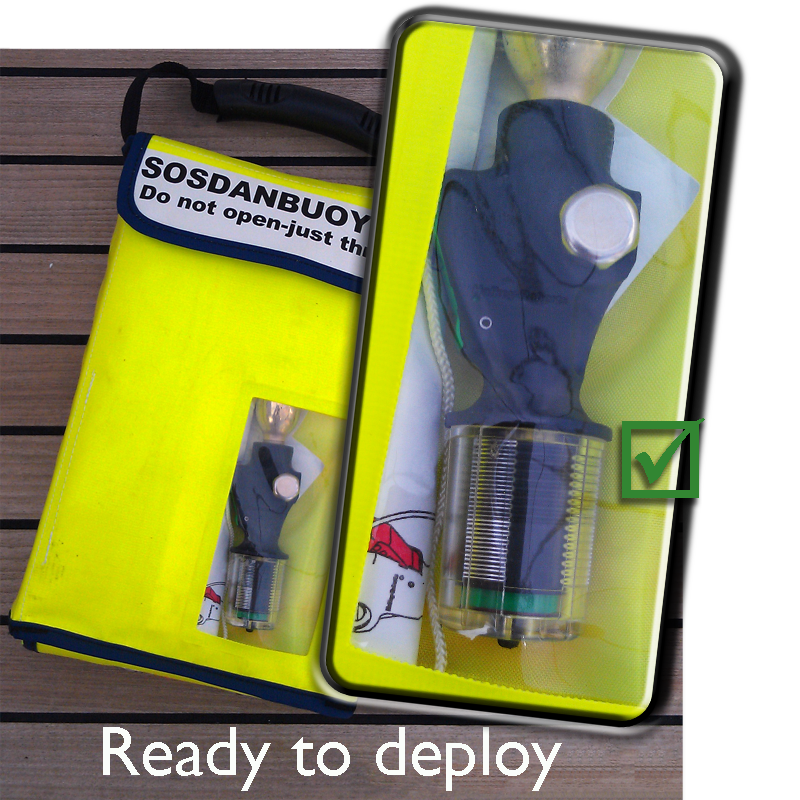 We suggest you inspect your man overboard gear yourself, to the extent possible and practical. Trained professionals must certify your life raft and your fire extinguishers. Flares you must periodically purchase anew (but the new LED flare can change that). When disaster strikes, the trained professionals will not be there to help you deploy and use your gear. It’s your time to shine. You, and each of your crew, must be familiar with its location, deployment, and use. Your gear must be ready to go and accessible. If necessary, make seasonal inspection part of your man overboard routine. For instance, if you move racing sails on and off the boat periodically, have your racing crew possibly stacked a few hundred pounds of sails on top of your life raft? Eliminate potential hurdles to success by tackling as much inspection yourself as possible. Have a good looking over at all safety, damage control and other key gear aboard to make sure it is still in good condition and stored properly. 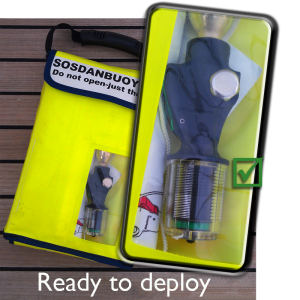 Now that you have checked your emergency gear is serviceable, next time you gather your crew, walk them through your life jackets, flares, life raft, dan buoy, to make sure all hands know how to find and deploy each of the components. 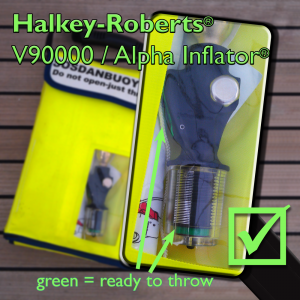 On the life jackets and dan buoy, familiarize your crew with the inflation mechanisms. 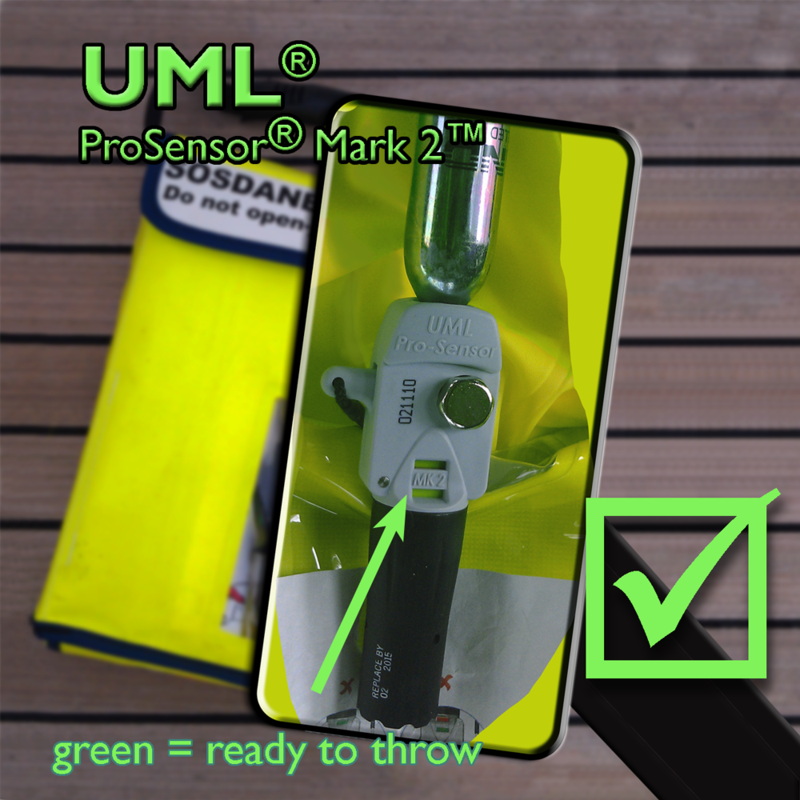 As with your dan buoy, you should be able to see at a glance whether inflatable man overboard gear is ready to inflate on demand. See the dan buoy documents section for stepwise instructions on how to inspect, repack, and recharge your dan buoy, inspect and repack its drogue, and inspect and replace its strobe. The problem of how to dispose of old flares is a real challenge. Here are recommendations from one flare manufacturer, Orion. Donate expired flares to local Coast Guard Auxiliary or Power Squadron for use in their training classes. Ignite hand-held signals flares on land in a safe area, much the same as highway flares would be ignited. Contact a local law enforcement or the fire protection agency for their advice on proper visual distress signal disposal. Retain flares for back-up use to expand signaling time in the event of an emergency. NEVER jettison visual distress signals overboard. NEVER activate marine flares in a non-emergency situation on or near regulated water. NEVER dispose of flares in household trash. 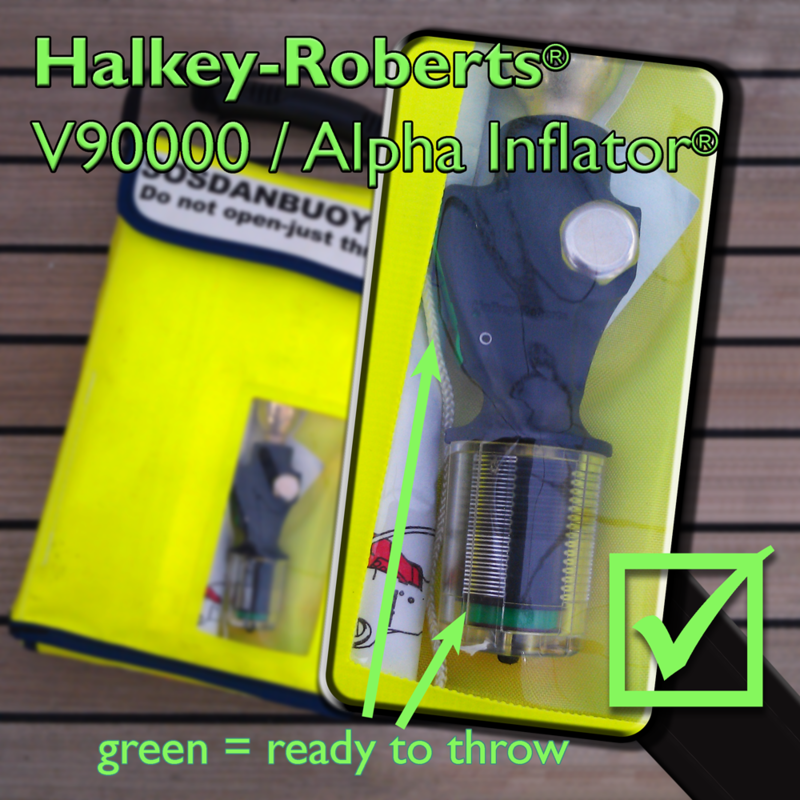 This entry was posted in Safety at Sea and tagged maintenance, Man overboard by Philip Thompson. Bookmark the permalink.